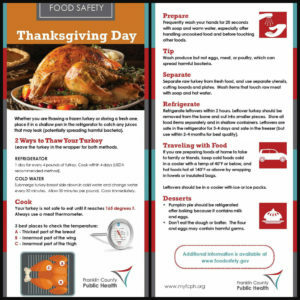 Whether you are thawing a frozen turkey or storing a fresh one, place it in a shallow pan in the refrigerator to catch any juices that may leak (potentially spreading harmful bacteria). Leave the turkey in the wrapper for both methods. 1 day for every 4 pounds of turkey. Cook within 4 days (USDA recommended method). Submerge turkey breast side down in cold water and change water every 30 minutes. Allow 30 minutes per pound. Cook immediately. Frequently wash your hands for 20 seconds with soap and warm water, especially after handling uncooked food and before touching other foods. 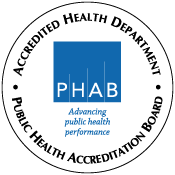 Wash produce but not eggs, meat, or poultry, which can spread harmful bacteria. Separate raw turkey from fresh food, and use separate utensils, cutting boards and plates. Wash items that touch raw meat with soap and hot water. Refrigerate leftovers within 2 hours. Leftover turkey should be removed from the bone and cut into smaller pieces. Store all food items separately and in shallow containers. Leftovers are safe in the refrigerator for 3-4 days and safe in the freezer (but use within 2-4 months for best quality). If you are preparing foods at home to take to family or friends, keep cold foods cold in a cooler with a temp of 40°F or below, and hot foods hot at 140°F or above by wrapping in towels or insulated bags. Leftovers should be in a cooler with ice or ice packs. • Pumpkin pie should be refrigerated after baking because it contains milk and eggs. • Don’t eat the dough or batter. The flour and eggs may contain harmful germs. 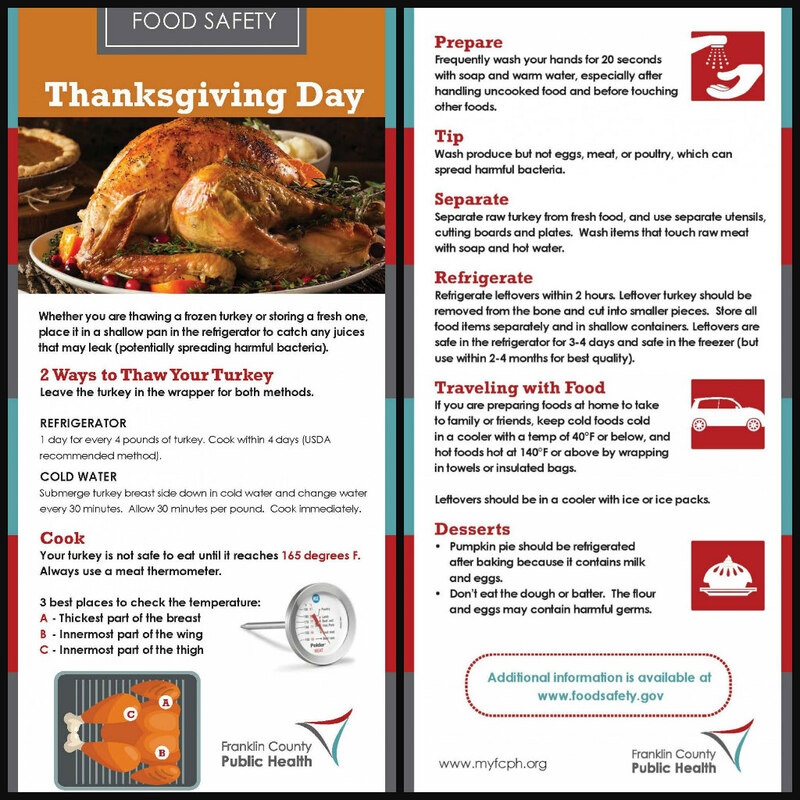 Additional information is available at foodsafety.gov.